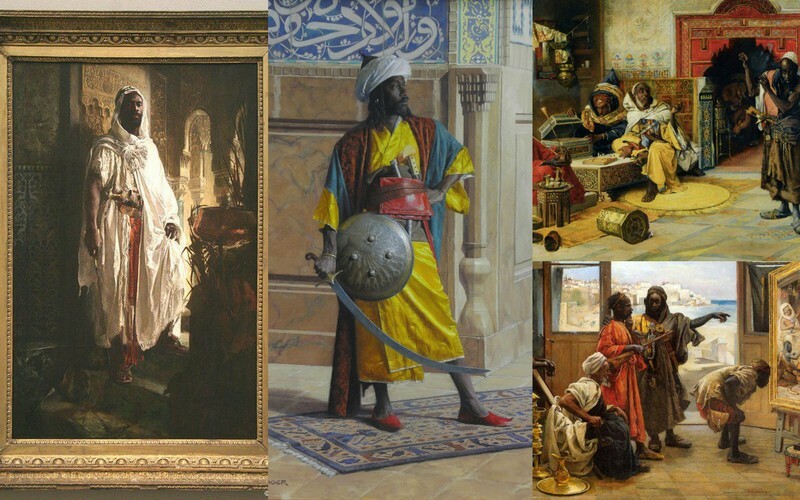 The term “Moors” refers primarily to the Muslim inhabitants of the Maghreb, the Iberian Peninsula, Sicily, Sardinia, Corsica, and Malta during the Middle Ages. The Moors initially were the indigenous Maghrebine Berbers. The name was later also applied to Arabs. Moors are not a distinct or self-defined people, and the 1911 Encyclopædia Britannica observed that “The term ‘Moors’ has no real ethnological value.”Europeans of the Middle Ages and the early modern period variously applied the name to Arabs, North African Berbers, and Muslim Europeans. 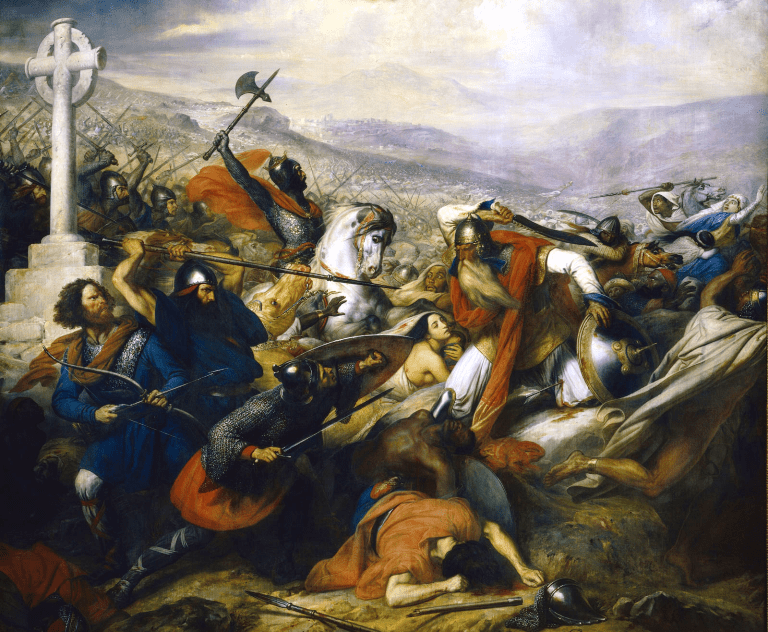 Illustration of the Battle of Poitiers also called the Battle of Tours, made by Charles de Steuben in 1837. Here it seems that the Muslim leader on the right is an Arab, but notice that the seven people behind, next to him or at his feet – except the white woman whose presence appears as accidental – are all black. 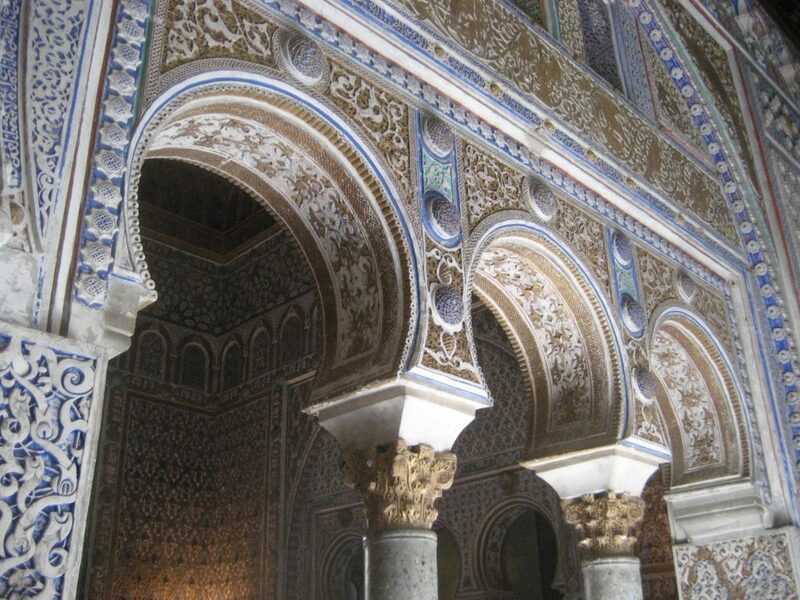 Moorish architecture in Spain. 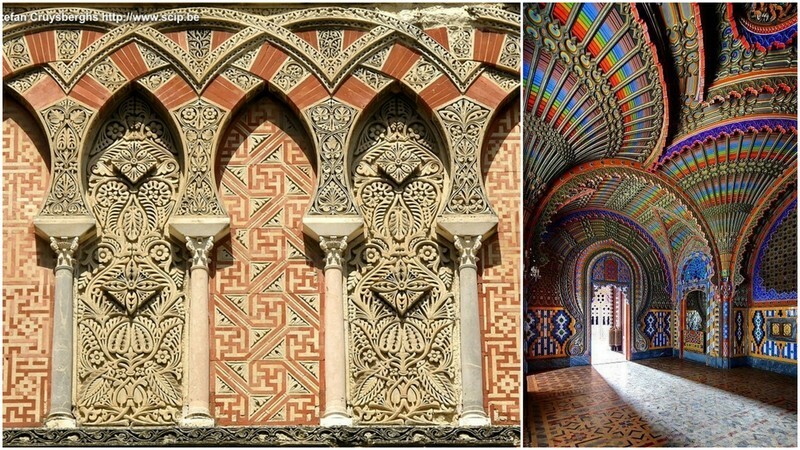 The most spectacular in the work of the Africans of the Maghreb and the Arabs, is the flamboyance of the colors, a concept which is very present in these medieval masterpieces. At its height, Córdova, the heart of Moorish territory in Spain, was the most modern city in Europe. The streets were well-paved, with raised sidewalks for pedestrians. During the night, ten miles of streets were well illuminated by lamps. (This was hundreds of years before there was a paved street in Paris or a street lamp in London.) 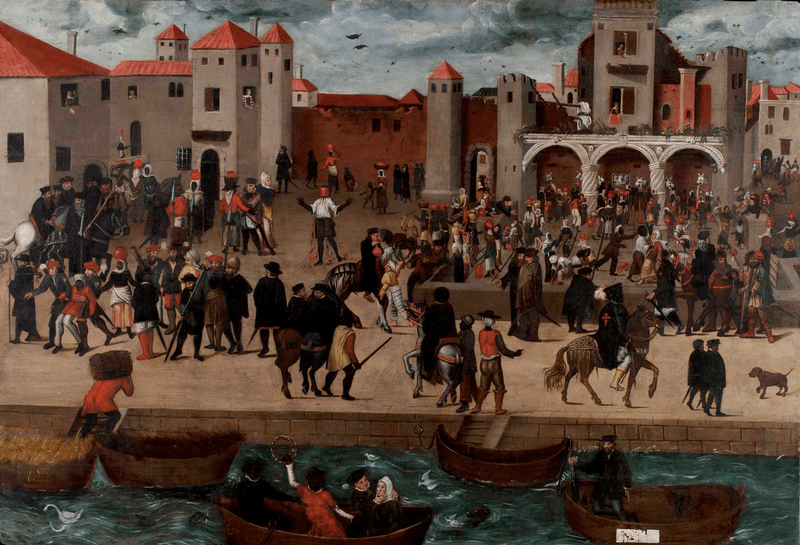 Cordova had 900 public baths – we are told that a poor Moor would go without bread rather than soap! The Great Mosque of Córdoba (La Mezquita) is still one of the architectural wonders of the world in spite of later Spanish disfigurements. Its low scarlet and gold roof, supported by 1,000 columns of marble, jasper and and porphyry, was lit by thousands of brass and silver lamps which burned perfumed oil. In the tenth and eleventh centuries, public libraries in Europe were non-existent, while Moorish Spain could boast of more than seventy, of which the one in Cordova housed six hundred thousand manuscripts. 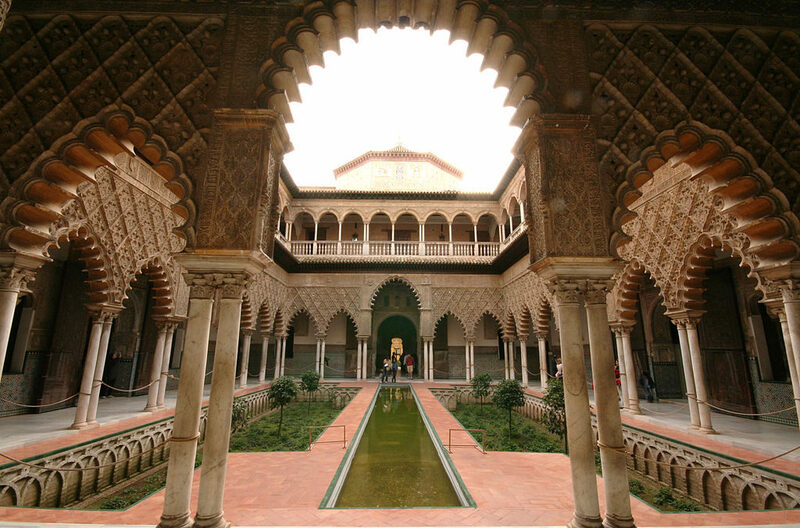 Over 4,000 Arabic words and Arabic-derived phrases have been absorbed into the Spanish language. Words beginning with “al,” for example, are derived from Arabic. Arabic words such as algebra, alcohol, chemistry, nadir, alkaline, and cipher entered the language. 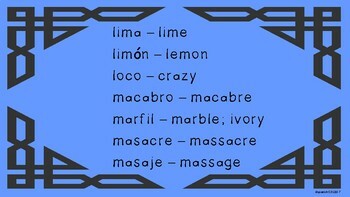 Even words such as checkmate, influenza, typhoon, orange, and cable can be traced back to Arabic origins. The most significant Moorish musician was known as Ziryab (the Blackbird) who arrived in Spain in 822. The Moors introduced earliest versions of several instruments, including the Lute or el oud, the guitar or kithara and the Lyre. Ziryab changed the style of eating by breaking meals into separate courses beginning with soup and ending with desserts. The Moors introduced paper to Europe and Arabic numerals, which replaced the clumsy Roman system. 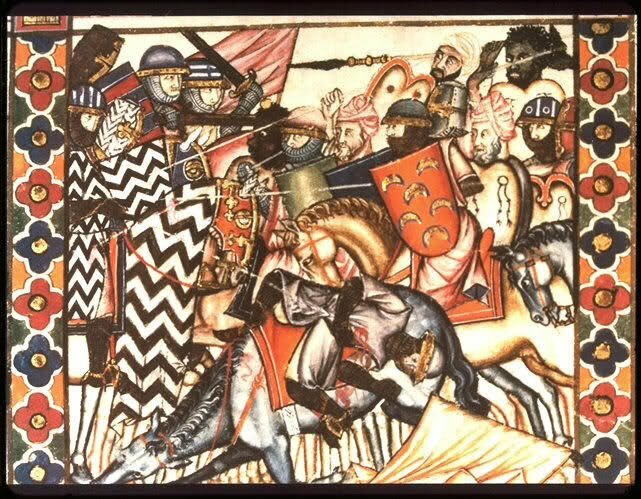 The Moors introduced many new crops including the orange, lemon, peach, apricot, fig, sugar cane, dates, ginger and pomegranate as well as saffron, sugar cane, cotton, silk and rice which remain some of Spain’s main products today. 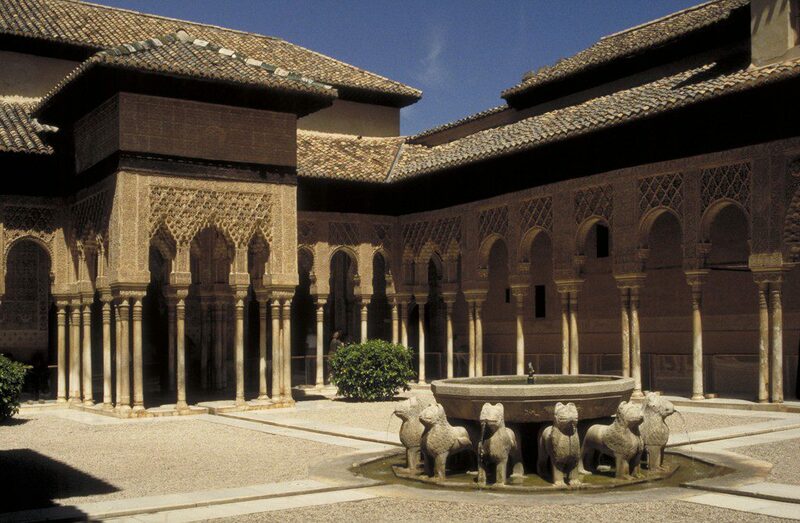 These buildings were so much appreciated that the Spanish nobles, after having reconquered their country, preferred to live there. 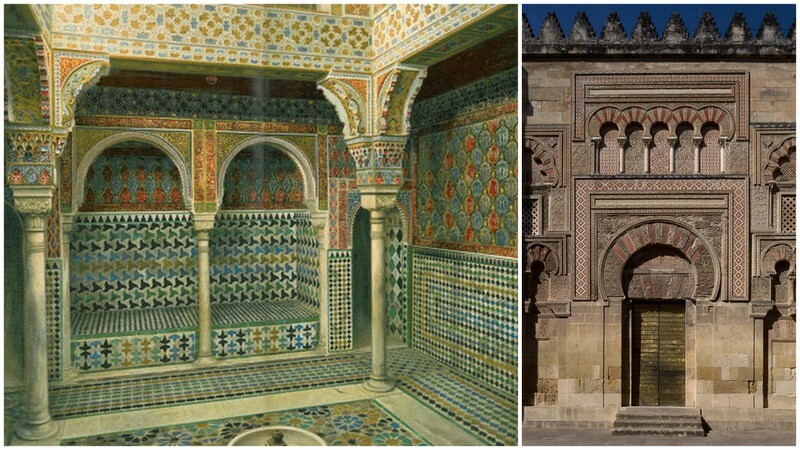 There is no doubt that the Moorish / Imperial Morocco civilization produced the most sophisticated black and African architecture, after that of the Egyptian-Sudanese civilization. Next PostThe Google Pixel 2 And Pixel 2 XL Vs The IPhone X?